Over the last 30 years I’ve been lucky enough to see many amazing things while on safari. 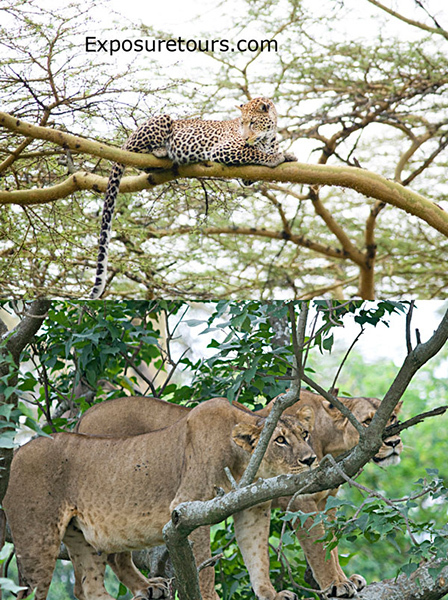 Lion kills, cheetah kills, various animal interactions. For me this has to be one of the most unique. While leading a group in 2007 we were heading back to camp and came across this unique scene. 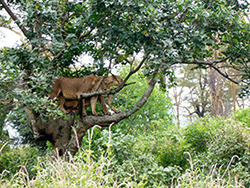 Two Lions at the base of a tree watching carefully (and hungrily!) 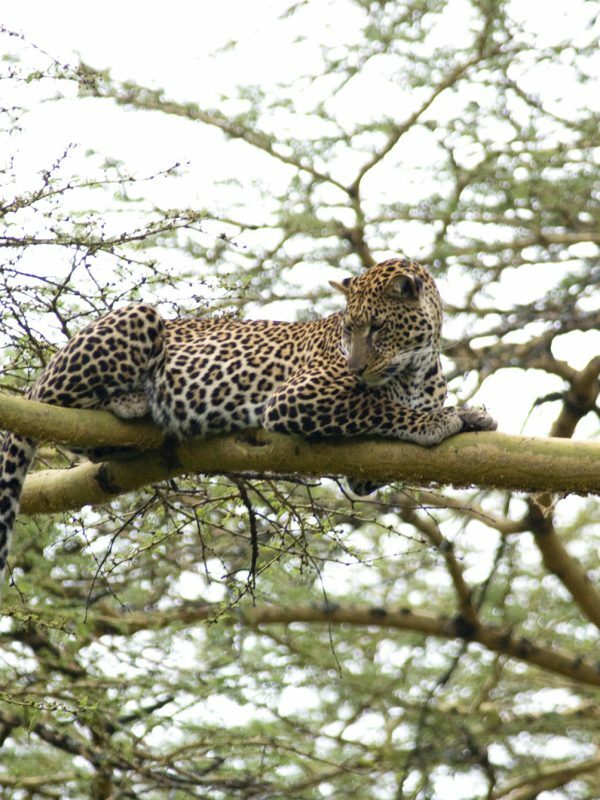 as a leopard sat in the top branches. 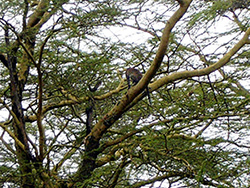 The tree was too big to capture both the lions and the leopard, using a wide angle both would have been tiny, so I grabbed a small Panasonic shot a couple of low res wide views than zoomed in with a 500mm on a D80. Of course if the opportunity arose today I would switch to movie mode to capture everything and a couple of close up in one clip. Its experiences like this that keep me going on safari and one of the reasons I take photographers there every year. The unpredictability of opportunities that occur every minute is simple immense!